Launched in 2015 in the framework of the CIMEC and CODECS projects, the C-ITS City Pool acts as a central meeting point between transport authorities already engaged in C-ITS deployment and other cities interested in how C-ITS can improve urban / regional mobility with the aim of raising awareness and support deployment. As of March 2018, the City Pool is managed by the C-MobILE Stakeholder Forum, involving traffic managers, road operators, industries, fleet operators, as well as everyday road users (such as professional taxi, bus or truck drivers, but also vulnerable road users such as cyclists and pedestrians) with the aim of establishing functioning business partnerships. 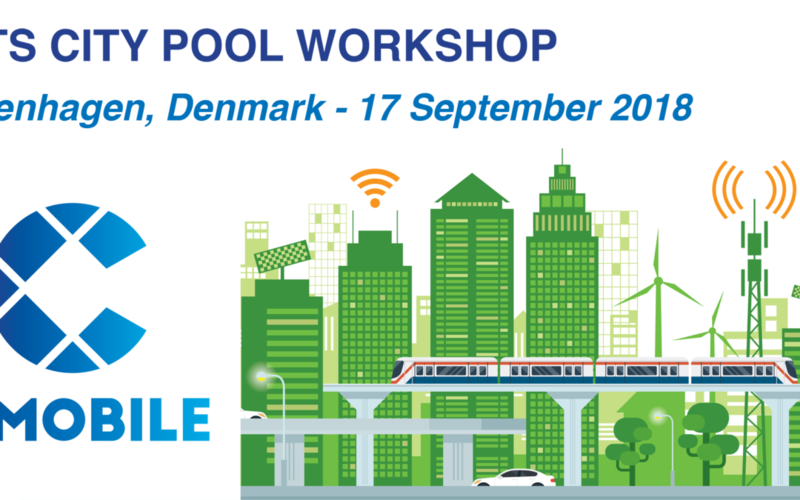 This C-ITS City Pool Workshop focuses on the upcoming C-ITS Delegated Regulation and will provide insight on digitalisation and upscaling challenges for cities. Join the C-ITS City Pool today: you will learn from other cities about C-ITS and what it can bring to your community, but also what hurdles you should expect when trying to implement. Share knowledge, speak with your peers and make arrangements for follow-up contacts. The participation in the workshop is free of charge but a registration is required. Registered participants will be invited to fill out an online survey ahead of the event, and the results will be discussed at the City Pool Workshop. This project has received funding from the European Union’s Horizon 2020 Research and Innovation Programme under Grant Agreement number 723311.